May 13, 2017, another GlobeCore plant was successfully put into operation. 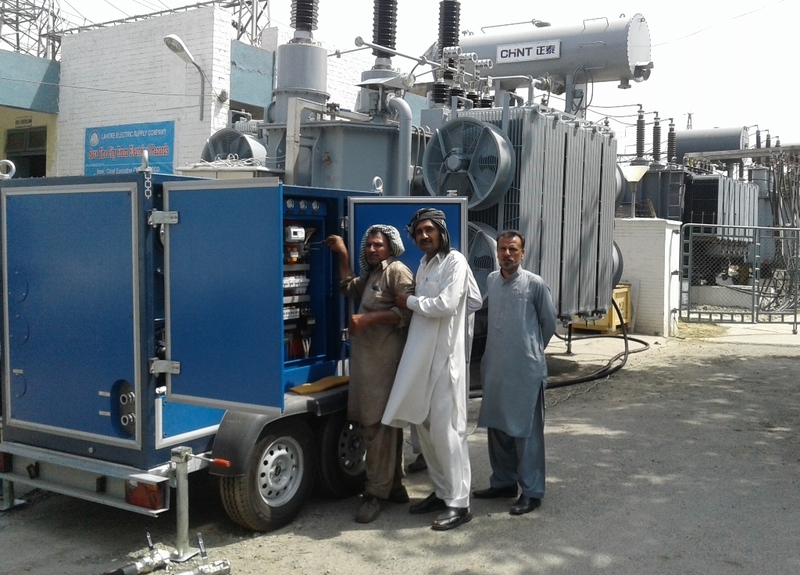 In Lahore (Pakistan), a CMM-4/7 unit serviced the power transformers through heating, drying, cleaning, degassing and nitriding of the insulating oil. This equipment can provide ISO 4406 cleanliness class – / 14/12 of industrial oil. It also achieves moisture content by weight below 5 g / t, and the volumetric gas content 0.1%. GlobeCore transformer oil purification systems extend the service life of power transformers and reduce financial costs. More detailed technical characteristics of this equipment can be found here.